The reality of student finance, according to students… - Which? While the word ‘loan’ might sound scary, a good chunk of students are using loans to finance their tuition fees and their living costs, as part of the student finance available to them. Broadly speaking, tuition fees loans are available to cover your tuition fees in full and upfront (although Scottish students studying their first full-time degree in Scotland are eligible to have these covered entirely by the Scottish government). Meanwhile, the amount you’re eligible for in maintenance loans (to help with living costs – accommodation, food, bills etc) depends on your household income (students whose families earn less will be eligible for more), as well as other factors such as where you’re studying. Those studying away from home in London are eligible for more, to account for the higher cost of living. When asked how well they understood the terms for repaying these student loans, 81% of students answered ‘Very well’ or ‘well’. Male students were slightly more confident, with 30% answering ‘very well’ compared with 23% of female students. How many of these questions would you get right? 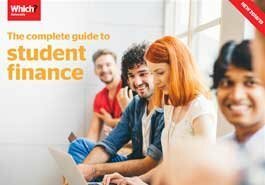 Learn more about student loan repayments in our regional guides covering student finance in England, Scotland, Wales and Northern Ireland. We posed students a couple of statements about how they’ve handled their living costs at university, and asked if they agreed with them. Almost one third of students said that money issues had negatively impacted their mental health or stress. Received a bursary from the university that basically saved me from dropping out. I've also received mental health support throughout for existing disabilities - they continue to be helpful and compassionate. I saw a counsellor at the university. However I had to wait three months to be seen, and only given six sessions. Keep in mind that this is just a snapshot of a few individual accounts. Search and see what students said about their university or course. Nearly half of students (46%) said they had asked parents or family for extra money to help with living costs, while 40% said their living costs were higher than expected. 27% said they worked part-time to help offset their living expenses. If you work while studying, there may be occasions when payday is just a few days too far away. In this instance, you still may find yourself relying on your overdraft or credit cards to make ends meet, like the 20% and 10% (respectively) of students who said they did just that. While both can be a valuable lifeline for students, they should be used wisely. Despite these troubles managing living costs at university, six in ten didn't apply for a bursary or scholarship. Extra funding can be awarded for a wide variety of reasons, from musical talent to work in the local community. If you’re not sure where to start looking, read our guide to bursaries and scholarships to set you in the right direction. Don’t think you have a chance getting a scholarship or bursary? We asked students who did for their top tips to apply for extra funding. While tuition fees cover certain things you’d expect in order to complete your degree, there will be some course expenses that you’ll need to budget for. 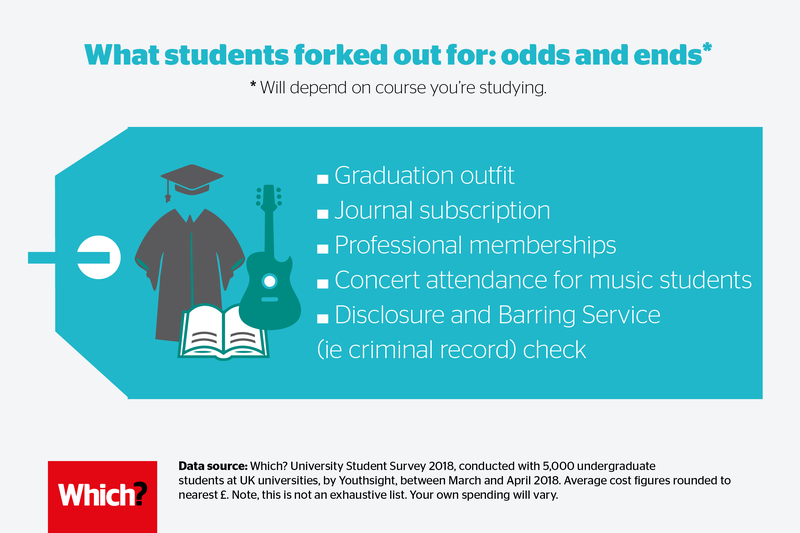 But your course costs will also depend on what you study. Some may require special equipment or clothing (eg scrubs and stethoscopes for medicine). 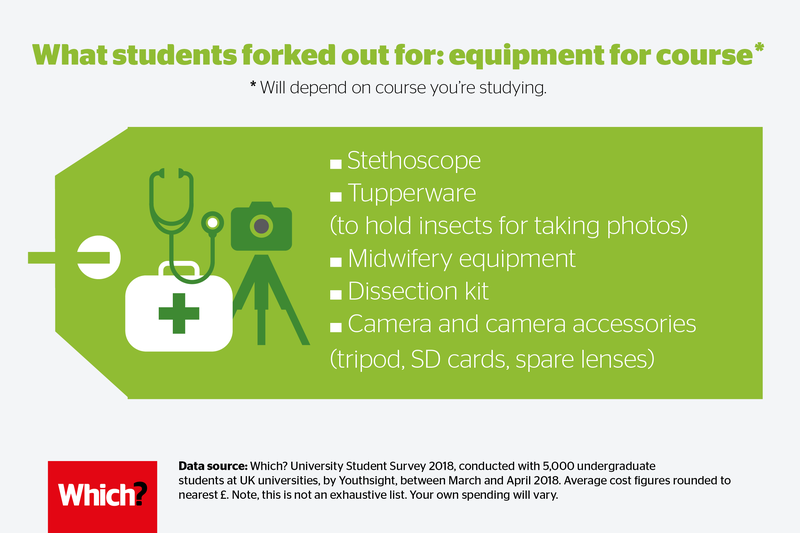 Others may offer field trips or work placements, for which you’ll need to factor in things such as travel costs, smart clothes and perhaps even background checks (eg nursing or midwifery). This may be something you ask about an open day or a taster day for your subject. * Data source: Which? 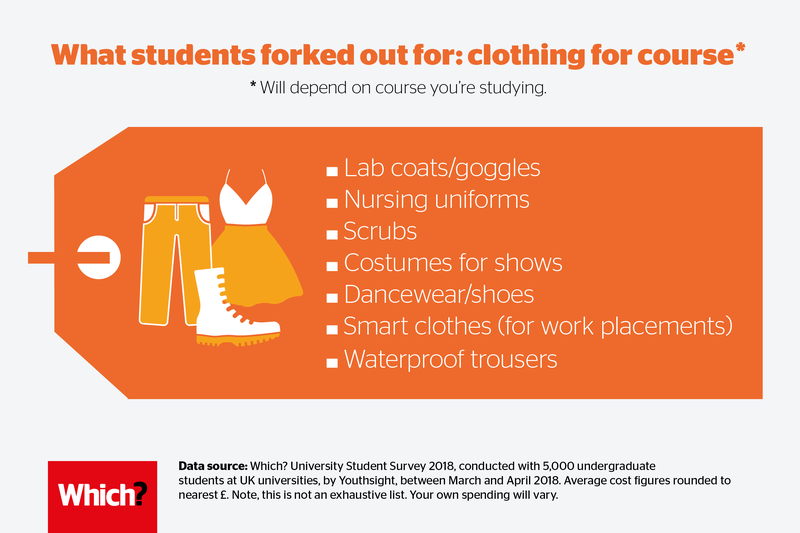 University Student Survey, conducted by YouthSight on behalf of Which?, surveying 5,000 undergraduate students at UK universities between 22 March and 6 April 2018.